The sun's rays illuminate the poppy flower. Reflection of light in the poppy petals. hd00:10Poppies in the rainbow field environment.Contrast colors in poppy.Transparent red in the poppy petals.light Game Delicate, red in the garden area.Poppy flowers moving in the wind. 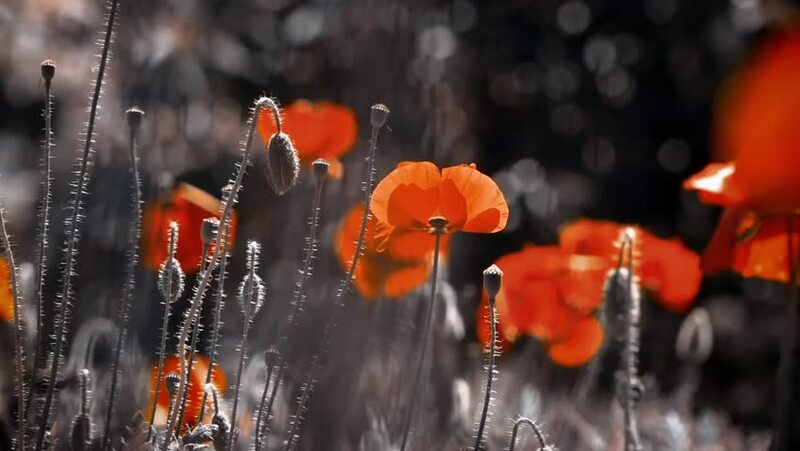 hd00:20Poppies in the rainbow field environment.Contrast colors in poppy.Transparent red in the poppy petals.light Game Delicate, red in the garden area.Poppy flowers moving in the wind.